Although it's still in a testing phase, the first long-term treatment shown to halt the progression of Alzheimer's disease is being hailed Tuesday by experts at the Alzheimer's Association International Conference 2012 in Vancouver. The four clinical trials looked at exercise, to see if various types could improve memory and brain functions in older adults. They looked at people without memory problems as well as those with mild memory complaints (sometimes termed "senior moments"). 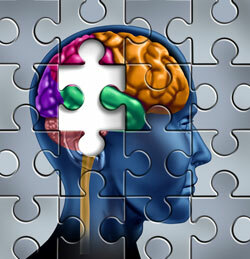 The Risk Evaluation and Education for Alzheimer's Disease Study (REVEAL) is a multi-center randomized clinical trial enrolling people with mild cognitive impairment (MCI) to investigate the impact of disclosing "imminent" Alzheimer's disease risk information – specifically, the probability of progressing to Alzheimer's within the next three years. Is Gammagard the One the Alzheimer's Community Has Been Waiting For? We now have the first study in almost a decade that is reporting long term stabilization of Alzheimer's disease symptoms in patients.